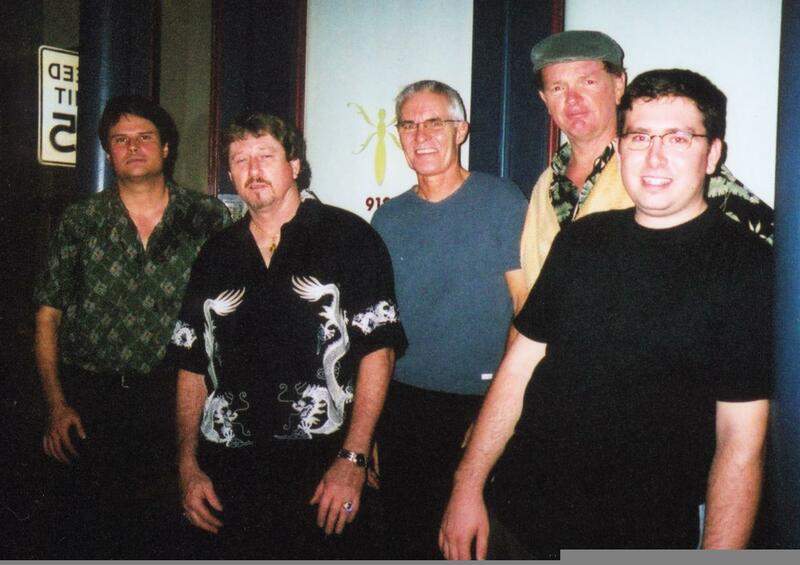 The Humbones began rehearsing together early in 2004 at Ronbo Studio on Dillingham Blvd. in Honolulu. We began by choosing selections from the works of such blues masters as Muddy Waters, Elmore James, Junior Wells, Sonny Boy Williamson, Jimmy Reed, Albert King, Willie Dixon, Little Walter, Robert Johnson, Freddie King, Buddy Guy, Albert Collins, Hound Dog Taylor and B.B. King. We've augmented our set lists with tunes by early roots rock groundbreakers including Bo Diddley, Chuck Berry, Wilson Pickett and Buddy Holly and since have updated our repratoire' with songs done by Creedence Clearwater, Maceo Parker, the Meters, ZZ Top and Eddie Floyd. Sprinkled in are a few originals. We will continue to improve and update our music for our fans and our own enjoyment. Mahalo to all of our supporters! We have bid a sad but fond Aloha to bassist, good friend and and brother-in-arms Sean "Boom Boom" Cannon who relocated to Portland 2006. 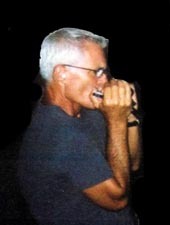 We will miss him dearly but have been better off for having him with us as a fellow musician and great friend. He will forever be a "HUMBONE". We love you Sean! Joining us onstage for several outstanding numbers at most of our performances is singer Jan O'Donnell. She can really belt out a tune! 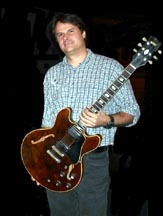 Other folks we've had the pleasure of playing with include singer/harp player Mark Prados, guitarist/singer J.P. Smoketrain, harp/vocalist James Ronstadt, guitarist Drew St. Charles, guitarist/singer Art Suankim, harpist Anthony Romano, singer/harpist Gyn Barnes, drummer Victor Maratas, guitarist Harry Nakano, harpist Kevin Coleman, bluesman/drummer Jeff Ilardi, harpist Scott Daigle, and bassists Dominic Leonard, Mike Peters, Vance Keever, Ian Chames and Mike Balmes. Our thanks to all of them, many of their photos on "Friends & Jammers" page! bands during his high school and college years. his father would listen to Hank Williams songs. 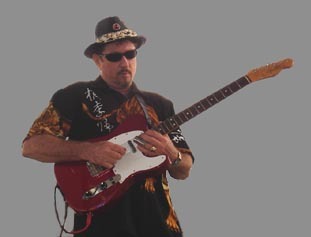 many of Hawaii's best blues groups. with many groups including Bobo Handshake and Mojo Hand. 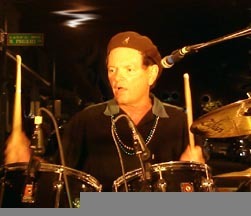 drumming keeps the Humbones kickin'. 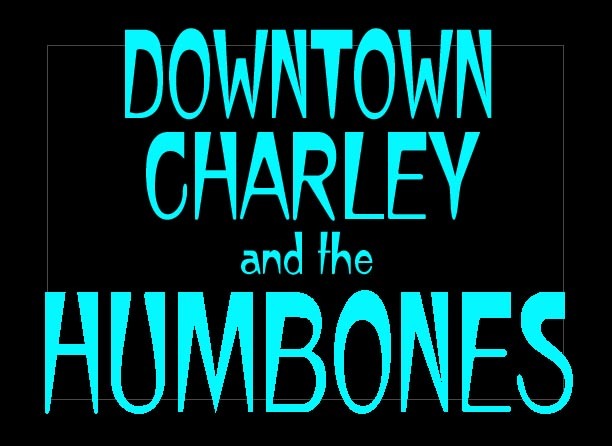 It took the band several months of haggling to finally decide on the name "Downtown Charley and the Humbones". Some other name candidates were the "Creatures" (Ugh! ), "King Humbone", "Ramblers" and a few others. We're still tryin' to figure out what a "humbone" is.......hmmmm......what do you think???? All of us in the band want to thank you for visiting our website and hope to see you at one of our upcoming gigs. Don't forget to sign our guestbook! Aloha!